Fitting Position in fuel tank. BMW 16141179415. BMW 16141182842. BMW 16141182843. BMW 16141182887. BMW 16141182985. BMW 16146758736. Use engines info and vehicle YMM compatibility chart for general guide. Buick 19133582. Bertone FREECLIMBER 2 1.6 1.6 L / 1596 cc 1992.03 - 1999.12 74 Kw / 100 HP. BMW 3 (E36) 316i 1.6 L / 1596 cc 1990.09 - 1993.09 73 Kw / 100 HP Fitting Position: Right. BMW 3 (E36) 316i 1.6 L / 1596 cc 1993.07 - 1998.02 75 Kw / 102 HP Fitting Position: Right. Buick 19133582. Chevrolet 19133582. BMW 16141179415, 16141179992, 1182842, 16141184022, 16141182843, 16141179711, 1180504, 16141182985, 1183139, 1179415, 16141182945, 1182985, 16141180504, 16141182842, 6758736, 16146758736, 16142226815, 16141226815, 16141182887, 16141183139. For BMW E36 325TDS 325 TDS Estate Coupe Saloon Touring Shock Coilovers strut CAC. CA Coilover Suspension For BMW E36 M3 3 Series 92-97 Coil Struts Shock Absorber. 20 Ways Coilover Suspension for BMW E46 3 Series 320i 323i 325i 328i 330i M3. CoilOver Shock Absorber Struts for BMW E36 3 Series Sedan Coupe Convertible AMI. H-Beam performance Connecting Rod Rods for BMW E36 3.0L M3 S50B30 EU model AMI. for BMW E36 3 Series Coilover Shock Absorber Struts Height Adjustable Kit 1998. For item number 770033. EAN Nicht zutreffend. Anschlussanzahl 2. BMW 16 14 6 758 736. BMW 16 14 1 182 887. VEMO V20-09-0441. SIDAT 70141. QUINTON HAZELL QFP621. Electirc Fuel Pump Gasoline BMW 1 M Coupe E82 /. 107,96. Electirc Fuel Pump Gasoline BMW 1 E82 E88 3 E90. 152,53. Electirc Fuel Pump Gasoline SEAT CORDOBA IBIZA. 63,47. 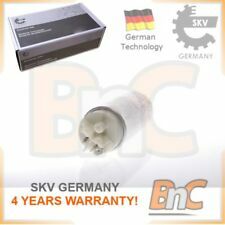 Electirc Fuel Pump Gasoline AUDI A3 A6 SEAT SKO. 45,65. Fitting Position in fuel tank. IN DOUBT WHETHER IT WILL FIT?. AND WE WILL DIRECT. MAINLAND -24 HRS. (incl: NORWAY & SWITZERLAND). However delays are occasionally inevitable due to unforeseen circumstances. Fitting Position Must Read Before You Buy! Manufacturer Part Number: 0580314076. Key Features. Part Type: Electric Fuel Pump. Warranty Period: Manufacturer Warranty if applicable - See Bosch website for more details. Gaghills Mill. • Virtually eliminates fuel pulsation for drivability and longer life. Then at our discretion we will decide the next course of action. There may be on occasions more than one compatible part for your vehicle. We will do our best to answer as fast as possible. Part Number:0580314076. BMW 3 E36 318i 83KW 113HP. BMW 3 E36 318is 103KW 140HP. BMW 3 E36 318i 85KW 115HP. BMW3 (E36) 1990-1998. BMW3 Coupe (E36) 1992-1999. BMW 3 E36 320i 110KW 150HP. BMW3 Convertible (E36) 1993-1999. BMW 3 E36 1990 - 1994. Bertone Freeclimber MK II [1992-1999] SUV 1.6 (1596ccm 100HP 74KW Petrol). BMW 3 Series E36 [1990-2000] Convertible 318i (1796ccm 115HP 85KW Petrol). BMW 3 Series E36 [1990-2000] Convertible 320i (1991ccm 150HP 110KW Petrol). Then at our discretion we will decide the next course of action. There may be on occasions more than one compatible part for your vehicle. We will do our best to answer as fast as possible. Part Number:0 580 314 076. BMW 3 E36 316i 73KW 100HP. BMW 3 E36 316i 75KW 102HP. BMW 3 compact E36 316i 75KW 102HP. For BMW E36 Series 320i 325i 316 318i 318is Unit Fuel Pump Assembly 16141182842. BMW 3 coupe E36 316i 75KW 102HP. Fuel pump BMW E36 E39 E46. Fuel pump diesel pump BMW 3 E46 316 318 320 323 325 328 330 i xi. E46 PETROL. E39 diesel. E39 TURBO diesel. Fuel pump diesel pump LAND ROVER LN- 2.0 T. Compressed air ratchet wrenches.